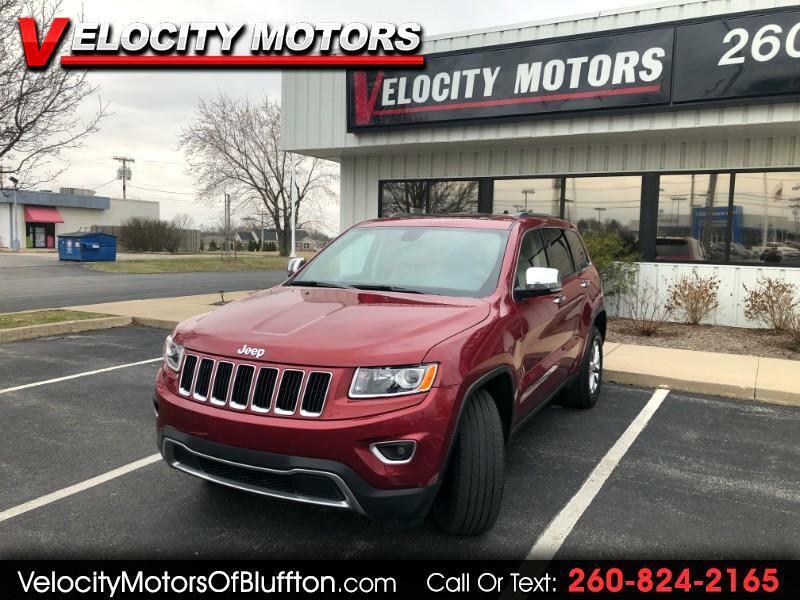 Used 2015 Jeep Grand Cherokee Limited 4WD for Sale in Bluffton IN 46714 Velocity Motors, Inc.
***1 PREVIOUS OWNER***This is a loaded Jeep Grand Cherokee in excellent condition!! Beautiful red color on the outside with a clean Beige interior. Leather heated seats, sunroof, 4x4, power liftgate, remote start, middle row heated seats, back-up camera, Bluetooth and more!! This is a loaded up Jeep and its ready to hit the road!! Come in and take a test drive today!! Velocity Motors is a one-stop shop when it comes to purchasing a vehicle. We service and detail all of our vehicles before they get to the lot. We offer in-house financing and extended service contracts on all of our vehicles. Reach either Steve or Kramer during open hours at 260-824-2165 and after hours Steve 260-433-5072 and Kramer 260-223-4496.